Electric mobility scooters give people who have difficulty walking or standing for long periods of time the opportunity to enjoy life without any limitations. Our company’s mobility and power scooters in Houston, TX, are easy to operate as well as portable. We guarantee that your transportation needs will be met with comfort, style, and stress-free capabilities. Whether you're traveling indoors or outdoors, the functionalities of our scooters are diverse and dependable. Consider adding a scooter lift to your vehicle to improve your access to places outside of your home. By transporting your scooter with your vehicle, you can take it further and use it in a wider variety of places. This opens many doors to places that may have been inaccessible to you before. Whether you’ve been unable to get around easily for years or you’ve recently become disabled, having access to high-quality mobility equipment can improve your life tremendously. Even if you’re able to walk short distances, having a power scooter can allow you to save the energy you would have spent walking for things you value more like going out with friends, shopping, and going to work. While more and more public places are offering mobility scooters for customers to use while they shop, many people can benefit from using one around the clock, and even in their homes. When you use a scooter, you can regain your freedom by getting around without having to rely on others for mobility. Our selection of scooters, wheelchairs, and other mobility equipment helps you access more things in life and enjoy more freedom overall. Four different scooter models are available to rent, including Pride Victory Scooters. Our power scooters provide convenience and independence for individuals who experience restrictions in mobility. Our scooters are designed for security and stability over bumpy sidewalks, uneven pavements, and in tight spaces. Mobility scooters have many advantages over traditional wheelchairs. While many people who aren’t able to walk are able to get around using a standard wheelchair, it can be difficult for others who don’t have the strength or energy to propel a wheelchair. By using an electric scooter, these people are able to travel around various places with ease and freedom while saving their energy for daily tasks. Our electric scooters accommodate the various needs of individuals who have trouble sitting, walking, and maneuvering. Our available supply includes heavy-duty scooters with different features such as three or four wheels, a leg rest, and a custom back and seating. Choose from the Pride Scooter Go-Go Elite Travel Plus, Pride Z-Chair, Scooter Heavy Duty 500lb, or even the Stroller Mobility Chair. We assure you that we can find you the mobility equipment that fits your personal lifestyle and falls within your budget. We have a wide selection of electric scooters, and the choices can seem overwhelming. Get in touch with us to discuss your physical needs, budget, and preferences. We carry scooters in every price range, weight limit, and speed range. Our scooters range in speed from 4 to around 8 miles per hour, and come in a variety of dimensions. For easier transport, we carry foldable scooters as well as scooter lifts for vehicles. These enable you to take your electric scooter virtually everywhere with you. Whether you’re travelling overseas or across town, you can just load your scooter up and take it with you. 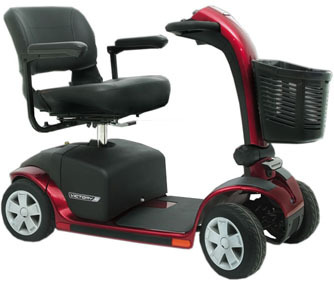 Contact us to, shop and go on outings using a high-quality mobility scooter from Texas Medical Supply Inc. in Houston. We also serve the areas of Spring Valley, Sugar Land, Missouri City, Mission Bend, Katy, Spring, Pearland, Humble, Pasadena and League City.